I've eaten at FishBones in Lake Mary a few times, and am just not really decided on if I like it or not, I'm very up in the air about it. So we went there on a recent Monday evening. I guess the first thing was the question "do you have a reservation?" We didn't so right away were informed that it would be a 45-60 minute wait. It just seemed a bit cold, even though there were plenty of empty tables. I know, maybe no waitstaff for them but, well, it just seemed so unsympathetic. But we were told we could sit at the sushi bar or outside, so we went outside where we quickly spied a table and took it. After a bit, a waitress appeared and provided the two of us with one menu. Now, we were sitting across from each other, so the one menu seemed a bit odd. But we managed. We each ordered a glass of wine. The wine was just OK, nothing at all special--except the price. For $8 or $9 for a mediocre at best house wine with a decidedly short pour, i felt that they were just trying to make a bundle on me with the drink prices. 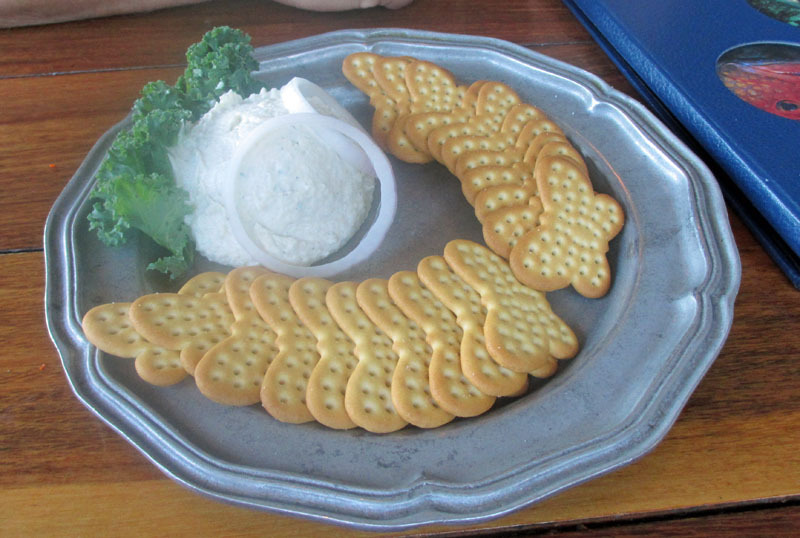 We started with the Bahamian Smoked Fish Dip, and it was very good, both in presentation and in flavor. The smoke was not very strong, but still there, the flavor quite mild. I would have liked a bit more onion in it and/or something to give it just a bit of a crunch--it was very smooth and creamy. But when it was delivered, the runner who plopped it down in front of us should have noticed that we had no plates, no silver, no napkin. Nope, he just plopped it down, job done, mission accomplished. So we had to ask for that. Our salads arrived in due time and I will say, they were excellent. The salad was very nice, and tasted very "green" and fresh, not overly dressed. It also was served with a light and warm, very tasty roll. I loved the salad a lot. 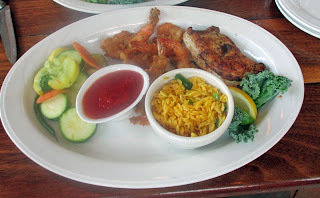 For my main course I had a Chicken and Shrimp. There were some hits and misses here. The shrimp was a bit greasy and one of them was not properly cleaned, the "vein" still evident. They were just OK, but the shrimp sauce was a bit bland, tasting mostly like ketchup and not much else. The orzo was OK, and the mixed vegetables were nice and crispy but did not have any ginger taste that they were supposed to have. The chicken itself was a small piece covered with skin. 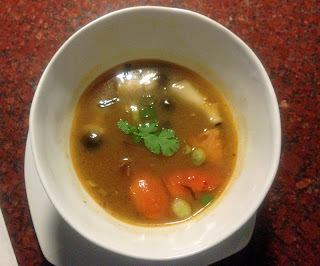 It was tender and flavorful but a lot of the flavor was in the skin, which i avoided--don't need the calories. 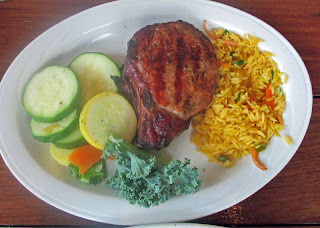 Still it was OK.
My friend Tommy had the Pork Chop. Now it was awesome, quite huge, tender, juicy, nearly perfect. It was a huge piece of meat, I can't imagine how anyone could eat the double sized one. It was nicely grilled and had a nice smokey flavor, too. It was maybe the best bite of the night. Our service was a bit lackadaisical, so at times we went without seeing our server for a while, and at times her or another server were checking on us. A manager did come around once or twice as well. So, overall, our experience was somewhat uneven, not what I'd expect for a restaurant like this, given the high prices. I'm not sure I'd really go back again. I've had better food and better service for a better price at other places. But what the heck, give it a try and you decide! 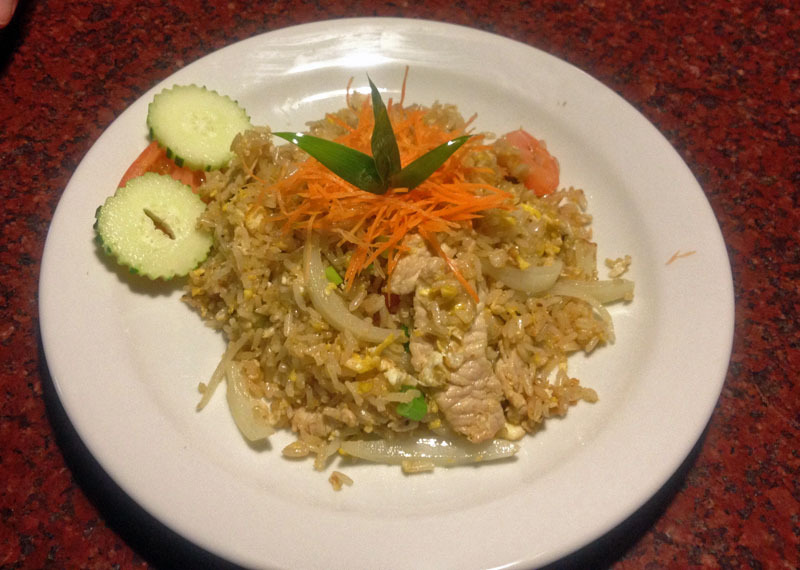 I had lunch at Sake Thai and Sushi restaurant in Debary recently and was quite impressed. It has not been around for very long, but the food was sure good, the service wonderful, and I would love to come back some time for a full dinner. I met my friend Tommy here for lunch recently. He started with Miso Soup which was good, I had a salad. But i also ordered a bowl of the Tom Yung Goong Soup, one of my favorites. It was good. I asked for it with medium heat and there was a nice bit of heat in it. One thing that seemed a bit low key was the lemongrass, it was not very predominant. But still, overall, I enjoyed my bowl of soup very much. We both had spring rolls with our lunch special. They were good but small. Still, they did hit the spot and had a nice wholesome freshness to them, jsut a bit of cabbage and greens inside gave them a mild flavor. For my main course I had the Volcano Chicken. First off, the presentation was superb. 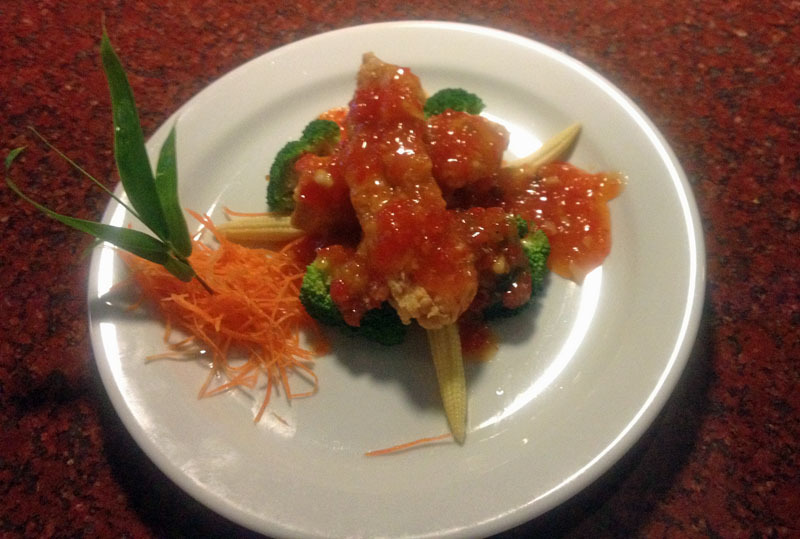 Some julienne carrots were a foundation, then broccoli and mini corns, topped with two chicken medallions that were breaded and fried and nice and tender. It was topped by a nice sweet-sour chili sauce that had just the right amount of heat. And on the side a pile of finely julienned carrot. The presentation matched the taste because it was mighty tasty. It was served with a side of white rice that was just perfect for picking up some of the extra chili sauce. My friend Tommy had the Pork Fried Rice. This was a nice portion of rice and had a great flavor. Too often soy sauce is used and overpowers fried rice, but this was not the case at all and there were plenty of chunks of pork in it as well. It was very tasty. And just like the other dishes, the presentation as fantasic, the dish just plain looked good to eat, and it was. We had a very nice lunch here, now I'd like to come back for dinner sometime. And i saw some of the sushi that came out--it looked fantastic as well. Next time....! I felt like I stepped back in time about 50 years when I entered Mario's Restaurant in Ormond Beach lately, but the food was good, the service attentive, and the portions huge! We arrived on a very stormy and rainy Saturday evening. They were not very busy, but still had a fair flow of traffic. We were promptly seated and a drink order taken. Our wine arrived in due time and we were hungry so we ordered. 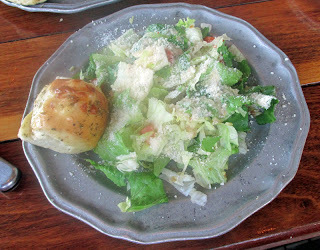 Our meals each started with a salad, and it was a very good salad, nice and fresh and cold. It was served on a chilled metal plate. The plate itself had a place to put in a container of dressing, but for some reason the dressing was just placed on top of the salad. Curious. 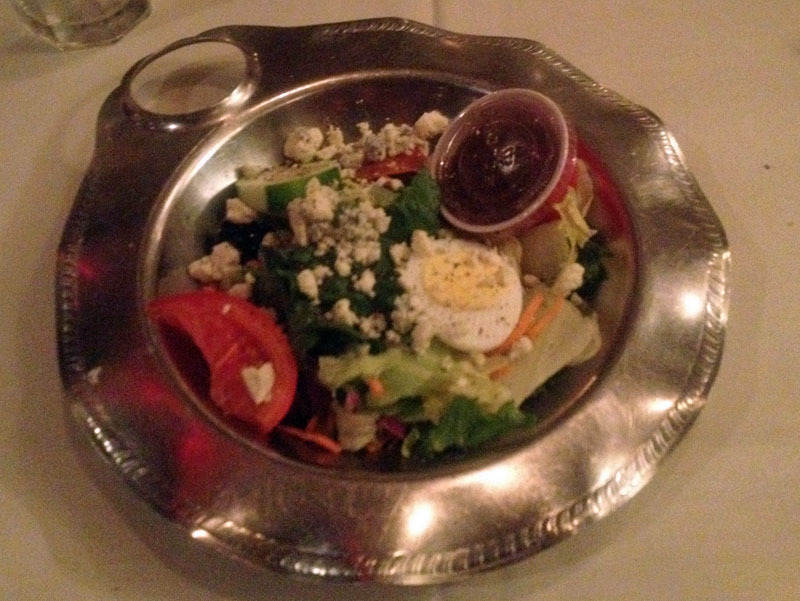 But the salad itself was very good with nice fresh lettuce, some tomato, egg, and etc. It was very good and very refreshing. 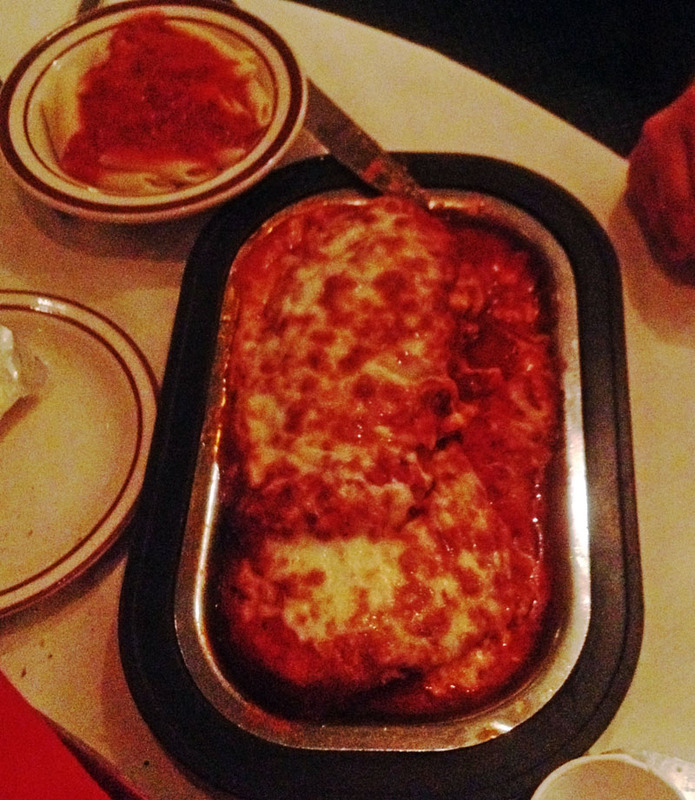 For his main course my friend Tommy had the Chicken Parm. Holy smokes! Talk about a huge portion! Three good sized chicken breasts were covered with parmesan cheese and red sauce and grilled nice and hot. The chicken was nice and tender, the parm was nicely browned. It was a good dish. It was served with a side of penne with red sauce, but that was really unnecessary. The portion was huge, he actually had a total of three meals out of it, eventually. Our meals were accompanied by bread, and lots of it. One was a garlic bread, that was very good. But the best was a somewhat rustic chubby baton of a nice whole wheat bread, nice and fresh and warm. Very good bread. 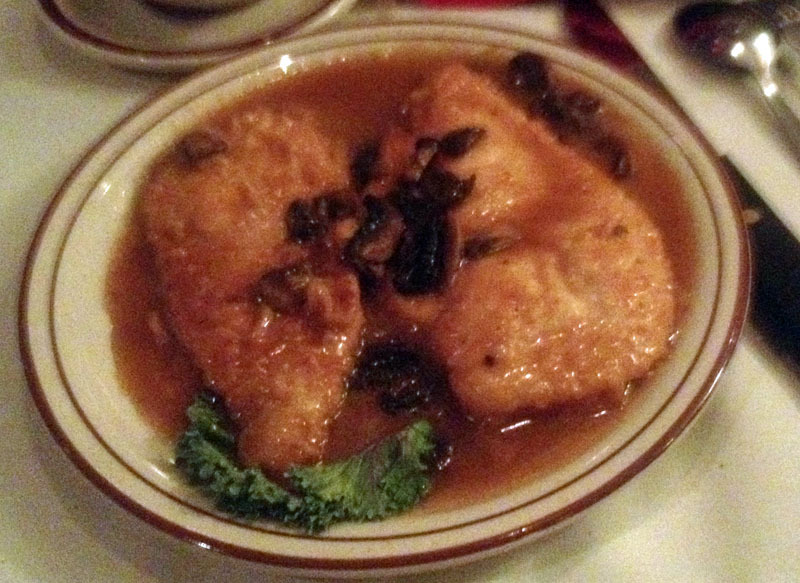 For my meal I had the chicken marsala. The marsala was just a bit on the sweet side for me, but still it was very good. 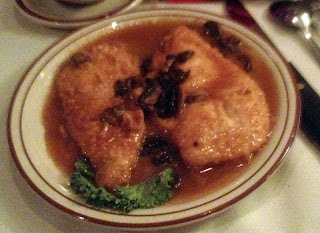 The chicken was nice and tender, and the sauteed mushrooms gave the dish a nice earthy flavor. This was very good. 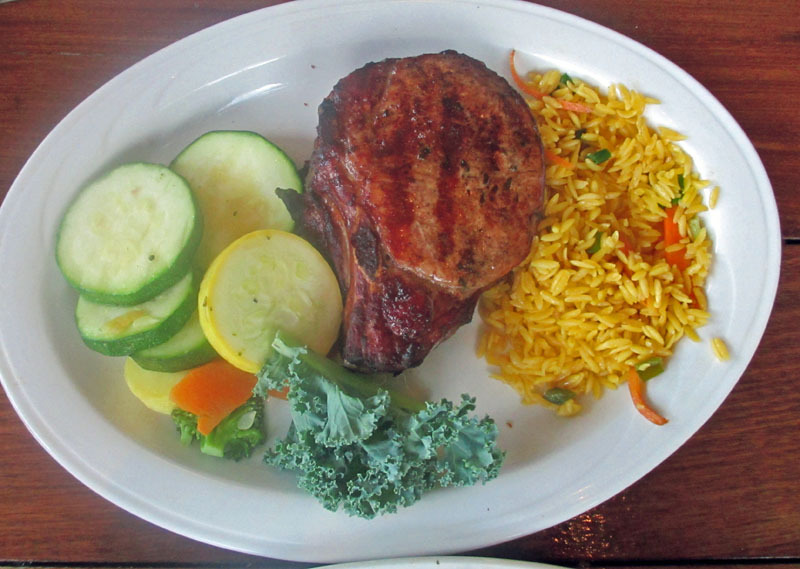 And the portion was large, I ended up taking half of it home for another meal on another day. Overall, I enjoyed my meal here. It was good Italian comfort food, not a lot of pretention, but good food done well and served in large portions. The restaurant itself probably has not changed much since it was opened in the 50's, but it was nice and clean. I'd eat here again, definitely. I can see why it has so many favorable votes on Urbanspoon.com!